A great wedding day doesn’t just happen. It’s all about the details that go into it. Award-winning Whidbey Party Girls do the hard work while you enjoy a stress-free and one-of-a-kind wedding everyone will remember forever. Memorable events do not just happen, they are created. Understanding a client’s vision is where we begin; attention to detail is how we fulfill their expectations. Hi, we are Whidbey Party Girls! 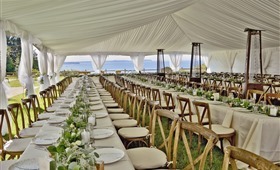 Whidbey Island Wedding and Event Planning is what we do. Memorable events do not just happen, they are created. Understanding a client’s vision is where we begin; attention to detail is how we fulfill their expectations. 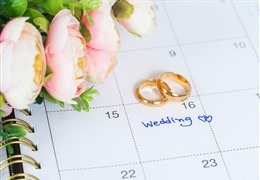 We have been helping couples plan their wedding day since 2006. We have been awarded the “Couples Choice Award” every year with WeddingWire since 2010. In addition to running WPG, we have helped form and sit on the Board of Whidbey Island Grown, helping to brand and promote the best of what is locally made and produce on our island, as well as work with and support several local organizations with our social giving. What we love most about what we do are our clients. We meet people when they are embarking on a journey and we love the time with spend with them. We became wedding planners by accident. When we started our business on Whidbey Island it was to service a niche – event staffing (food servers and bartender). “When you want to be a guest at your own party” was our business plan, but little did we know how fast our business would evolve into weddings and other types of events starting with our very first client! What we love most about what we do are our clients. We meet people when they are embarking on a journey and we love the time with spend with them. It is such an intimate and personal space we get to invade and we cherish this time. We get to help them define what is most meaningful and important to them for their destination wedding or event on Whidbey Island. What are some creative wedding planning ideas? We love to ask local farmers to grow for us a product to use for a wedding or event; have a caterer build a kitchen in a field for a dinner or an artisan design an element for an event. We live in the PNW, about an hour North of Seattle on a beautiful rural Island in the rain shadow, so everything we do is creative. We are so special, ferries take you here. We create event spaces where none exist. In most major cities like Seattle, Napa or most any other place you can choose, you have traditional venues with most everything provided. 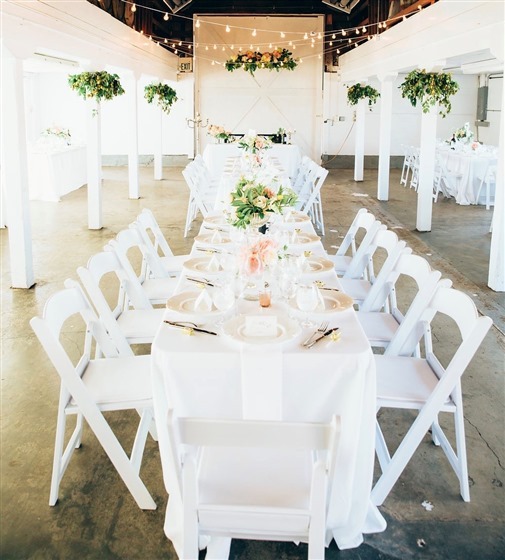 Here on Whidbey Island, we have some traditional venues that are special, but others will require that you bring it all in. We are so fortunate, we get to create and define our event space almost every time; no two events or venues are ever the same. We love to ask local farmers to grow for us a product to use for a wedding or event; have a caterer build a kitchen in a field for a dinner or an artisan design an element for an event. We have a small rental company on the Island and they have been building and expanding their inventory for us. It is a great community of event providers here on Whidbey. We have award-winning wineries, distilleries and breweries; James Beard awarded Chef and an abundance of caterers and restaurants who use locally grown products on their menus. How to decide on the wedding's guest list? This is something we leave with our clients to define, but we suggest they invite those meaningful and chosen people in their life. 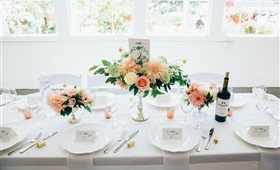 When having a destination wedding on Whidbey, it is more about enjoying time with family and friends, exploring the many experiences we have to offer on Whidbey, plus celebrating the couple’s union. Sometimes when a client is so excited to get the planning process started they rush to hire vendors without hiring a planner first or consulting with their planner. At Whidbey Party Girls! we look at the totality of an event and all the needs for everyone. We start our event planning from the guest POV. After all, this is why you are having a reception, it is for them, their comfort, their enjoyment. We make sure that everyone's needs are met and that all vendors come together as a team. And sometimes not all vendors will work out in the end due to their individual needs. There are a lot of mechanics behind the scenes that need to be factored in before you hire a vendor, make sure you can meet all their requirements before you pay the non-refundable deposit to secure someone’s services. Your excitement can cost you money if you are not careful when reading the fine print in a contract for services. What is the average price of a wedding planner? The price for a wedding planner in our area can vary, but if you are going to judge a wedding planner on price, then you might be missing out on a great wedding planner. At Whidbey Party Girls! wedding + event planning, our fee includes one wedding planner and one assistant for Day of Coordination, plus we have relationships with trusted partners who might be a better fit for your event that you may never know of. We are always looking for ways to help our clients save money or offset expenses to get the most out of their budget. At Whidbey Party Girls! wedding + event planning, our fee includes one wedding planner and one assistant for Day of Coordination, plus we have relationships with trusted partners who might be a better fit for your event that you may never know of. We are always looking for ways to help our clients save money or offset expenses to get the most out of their budget. We have a healthy respect for our client’s money and understand the investment they are making with our services. A good wedding planner can actually save you money by partnering you with vendors who meet your needs and who are locally sourced, get special pricing for you or know of deals that are not available to the public. How many weddings do they do in a weekend? Do they take more than one wedding or event on in a single day? How can they be of assistance to you, specifically, for your event? And most importantly, are they licensed by your State to do business? After you leave, ask yourself did they hear you, understand your goals and objectives and did you like them? If you can answer “yes”, then they might be a good fit for you. Not every Wedding Planner is right for every couple. You should never feel pressured to sign an Agreement for Services at the initial consultation, nor should you ever be charged for the first meeting. In your opinion, how involved should the bride/groom be in the whole planning process? We really do strive to understand our client’s vision for their day. 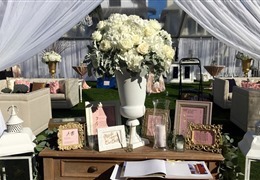 We make planning an event effortless. We need a partner in the planning process to give us some parameters; after all, it is their wedding day. We have worked with clients that we meet once, get the broad strokes and they leave all the details to us. Other clients want to meet once a week and have a hand in everything. And yet some clients we never meet until the day before the wedding; we choose everything for them based on our conversations. We really do strive to understand our client’s vision for their day. We make planning an event effortless. What was the most memorable wedding you had? The most memorable wedding I ever had was my own. It was perfect! Learn more about Whidbey Party Girls and see what they have to offer!